When I first started using literature in my ESL/EFL classes, I thought all I had to do was teach the stories I enjoyed reading. But I soon found that even my favorite stories wouldn’t always work in class. Sometimes, they lacked sufficient depth for a 2-hour lesson, they failed to engage my students, or I couldn’t find a good way to organize the discussion. So, how do you compile a successful syllabus for a literature-based course? If you focus on short stories (as I usually do), you can find thousands of them in anthologies, in textbooks, and online. The sheer number of options can be a challenge, which I hope to help you with in this post. Relationships: Stories dealing with relationships between parents and children, spouses, siblings, and lovers hold universal appeal. Social Issues: Some of the most animated discussions in my classes have been inspired by contemporary topics including war, discrimination, gender, euthanasia, and women’s rights. Although many of these are hot-button issues, I encourage students and teachers not to shy away from them. Because I particularly appreciate the role of social issues in increasing cultural awareness, I’ll be devoting an entire future blog to this. Stages of Life: Shakespeare wrote about the Seven Ages of Man. I’ve found that students respond well when dealing with the various stages of life: childhood, the teenage years, young adulthood, maturity, and old age. Your students will relate directly to some of these; others will require more imagination and empathy. 2. Look for layered stories. Literature in ELT: Who’s Afraid of Literature? It’s an opportunity to teach language skills in an authentic context. It’s a chance to practice critical thinking skills. It introduces a diverse array of social and cross-cultural topics. It gives rise to energetic class discussions. The following blog post was written by Alexandra Lowe and originally published by TESOL International Association on June 3, 2015. 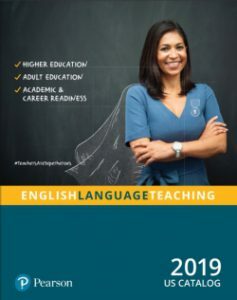 It can also be accessed through the TESOL website. 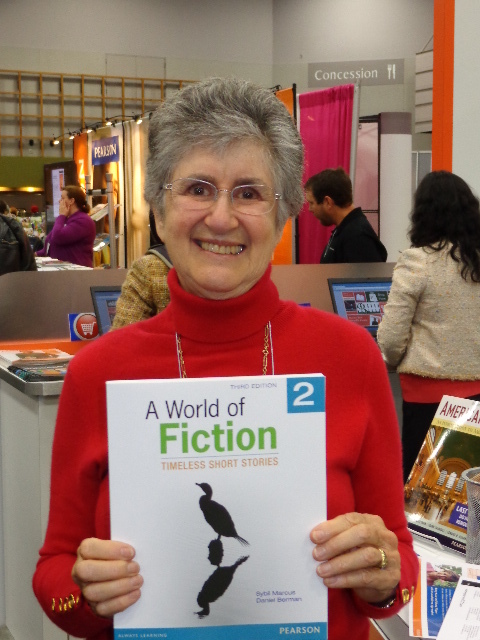 At the recent TESOL International convention in Toronto, I was privileged to attend an outstanding workshop entitled “10 Tips for Teaching Short Stories” by Sybil Marcus, an inspiring teacher from the University of California, Berkeley. Presenting excerpts from two short stories, she showed us how she uses stories to teach critical thinking skills, style, grammar, and vocabulary, and to lay the groundwork for classroom debates and writing assignments. Sybil’s approach to teaching ESL skills through short stories sounded so compelling to me that I dashed back to my own classroom as soon as the conference was over to try it out. One of the short stories she showcased in her workshop was Daniel Lyons’ “The Birthday Cake” (.doc). The story features two immigrants—an old, embittered woman from Italy and a young single mother from the Caribbean—who find themselves locked in an unexpected conflict. The story subtly raises challenging issues of attitudes toward immigrants, single parenthood, aging, isolation, and death. The story was an immediate hit with my high-intermediate, low-advanced students. When we discussed an issue central to the story—whether the old woman was justified in her contemptuous response to the young woman’s plea for a special favor—my students were as bitterly divided as the two protagonists themselves. Even students who were normally shy and reluctant to speak in front of the whole class launched into a passionate debate over the merits of the old woman’s behavior. And what was particularly fascinating was the discovery that the battle lines among my students were drawn in unpredictable ways—students whom I would have expected to sympathize with the plight of the young mother were surprisingly hostile to her. Earlier this year, my colleague Jamie Reinstein and I were corresponding about the value and joy of using literature in ESL education. We found that our experiences were closely aligned, and he invited me to run a workshop on literature and ESL at the Community College of Philadelphia in Pennsylvania, U.S. Since he was using my anthology A World of Fiction 2 as the text for his advanced class, he also suggested that I take over for the morning and teach a story from the book. I decided that I would ask Jamie’s students to read Peter Meinke’s short story “The Cranes,” which is about an elderly couple on an outing to the Gulf of Mexico. Although the story seems innocuous at first, the events lead to an enigmatic ending that prompts reconsideration of what’s been happening all along.